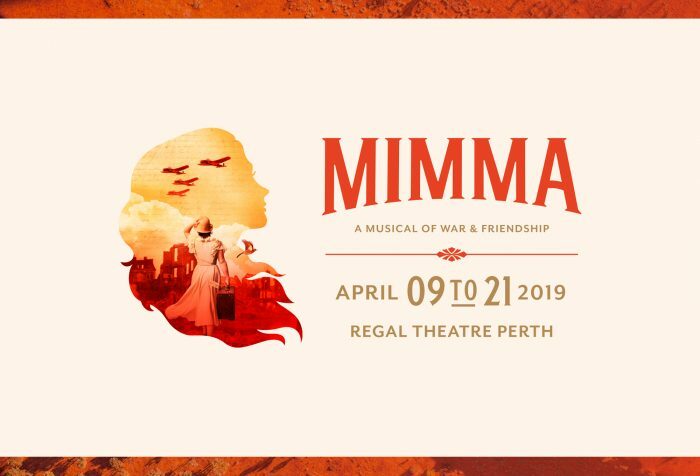 MIMMA: A Musical of War and Friendship is a story of love and dedication to friendship and family that crosses cultures and continents during World War 2. Mimma Marini, a journalist working alongside her family in Turin, Italy moves to England to live with her Uncle Lorenzo as the threat from Mussolini increases. Here Mimma meets Sarah ‘Nightingale’ Parker, an aspiring jazz singer and a friendship forms. We hear about the progressions of war as the characters experience the events themselves. In England, it’s through the newspapers reporting on Hitler while in Italy Mimma’s family are still diligently working to write their own newspaper despite the increasing threat to their lives. The clever use of dates and location projected onto the set is a brilliant use of technology within a live performance, keeping the audience up to date as the war progresses and locations change. With many powerful scenes of war and desperation the set and lighting is used to dramatic effect. Voices soar through arias in Italian with subtitles projected on the set. The Perth Symphony Orchestra is fantastic as ever as they accompany singers and dancers through tap, blues, musical numbers, operatic movements and jazzy 1940’s night club tunes. Fabulous costumes and the clever use of the actors and technology create multidimensional and seamless set changes throughout the show. With scenes of war and death, parental supervision is recommended for children. MIMMA is running from now till the 21st April at The Regal Theatre in Subiaco so it’s in the perfect location to treat someone to a date night or a friend’s night out to enjoy dinner and a show. Tickets available through Ticketek now.